Participate in the Vancouver Scenic City MS Bike Tour on August 10th! Riders of all ages and skills are welcome to join our 15-60km routes around the city. From beautiful heritage residential neighborhood in Vancouver-Mount Pleasant to breathtaking waterfront bikeways, the tour offers participants the chance to explore Vancouver while supporting a wonderful cause! To take part in the event, riders must collect pledges of a minimum 75$ for youth cyclists and 300$ for adults. The money raised helps fund MS research, as well as vital services for people living with MS.
For more information, visit www.msbike.ca or contact Paula Duhatschek at Paula.duhatschek@mssociety.ca/604-602-3221 for details. Celebrated short term for it's scientific approach to user friendly spaces, the Modern architecture movement quickly became labelled by some as de-humanizing. International Style began in the 1920s and 30s with architects like Mies Van der Rohe, Walter Gropius and Le Corbusier, in the formative years of Modernism. Typified by open interior spaces, cantilevered floors that appear weightless, and light taut planes on the exterior, International style avoids the heaviness associated with other concrete modernist structures. 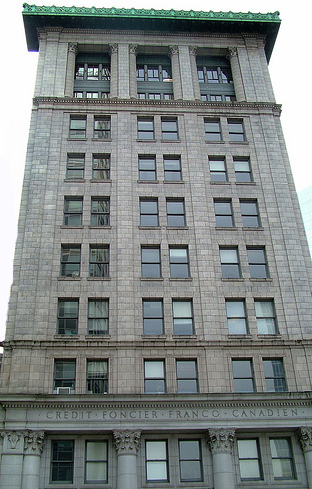 Join Maurice Guibord for a walking tour around Downtown to see some award winning examples of the style, and hear more about the great Modernist debate. Meet at the SW corner of Robson St. and Burrard St.
One drop per second equals 7,000 litres of water wasted per year. Stop buying costly bottled water which adds to the landfill. Lighting accounts for 15% of your energy bill. 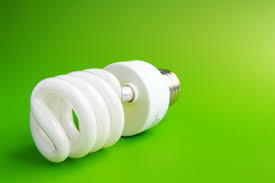 Replace old bulbs with ENERGY STAR rated bulbs. Turn lights off outside when not in use. Light pollution is an increasing problem. Turn off outdoor lights to save energy and encourage night life such as bats and frogs. A single bat can eat tens of thousands of mosquitoes nightly. If you have safety concerns, use motion detector lights – which come on, only as needed. Buy a home in a neighbourhood close to work, transit, shopping, community centres and other services. New, compact, complete green neighbourhoods are being built with transit as their focus. Instead of owning a car, join a car share cooperative, take transit, cycle or walk. If it’s features such as a gym or pool you want, buy a strata unit with these amenities and share costs. Walkable neighbourhoods offer health, environmental, financial and community benefits. Enter your address or the address of a home you want to buy at www.walkscore.com. This tool calculates a walkability score based on the home’s proximity to transit, grocery stores, schools and other amenities. Mount Pleasant is a vibrant and eclectic area known for its unusual stores, heritage buildings, artistic residents, and arts-focused festivals. The neighbourhood is popular with first-time homebuyers, urban professionals, and families. Also, the area has many parks for local citizens and families to enjoy. 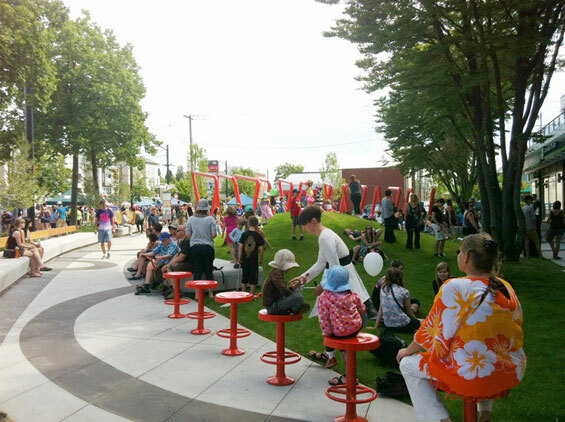 The Vancouver Heritage Foundation is down to the last few seats for the final Musqueam Bus Tour of the summer! Sunday is calling for clear, sunny skies, so it will be a great opportunity to visit some of Vancouver's parks and beaches to learn the centuries old history hidden there. 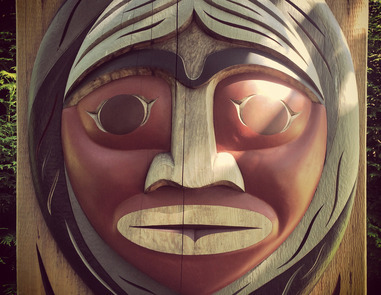 You'll learn about significant sites and their modern uses, hear personal stories and legend passed down from Elders to our Musqueam guides, and enjoy song, craft, and traditional practices as we travel between sites. Sites include (but are not limited to) Stanley Park, English Bay, Jericho Beach, Musqueam and the grounds of the Museum of Anthropology. Meet in the parking lot at 1450 SW Marine Dr. and walk as a group to the first stop c̓əsnaʔəm before boarding the bus. BC Hydro and FortisBC offer home owners rebates for various upgrades and improvements, including insulation, draftproofing, space heating systems, water heating systems and ventilation. These improvements can reduce the average residential customer’s energy bill by 30%. There is a bonus offer for completing three or more of certain upgrades. Total value of available rebates is almost $6,000 per household. 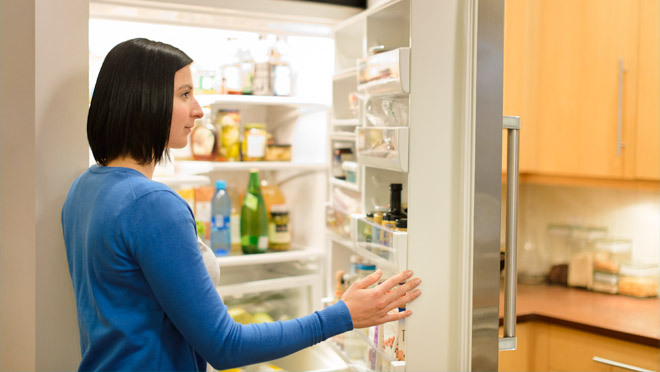 This ongoing program rebates BC Hydro customers $30 to turn in spare fridges in working condition. The Power Smart Partner program partners BC Hydro with BC’s largest commercial, government and institutional customers (who spend $200,000 or more/ year on Hydro). Customers gain access to a wide range of energy management programs, tools and incentives. Financial institutions offer ‘green’ loans for home owners making energy efficient upgrades. Vancity’s Bright Ideas personal loan offers home owners up to $20,000 at prime + 1% for up to 10 years for ‘green’ renovations. RBC’s Energy Saver loan offers 1% off the interest rate for a fixed rate installment loan over $5,000 or a $100 rebate on a home energy audit on a fixed rate installment loan over $5,000. For information visit your financial institution. BC Hydro and FortisBC offer free energy assessments and energy saving products to low-income customers. Qualified contractors will install upgrades ranging in value from $300 to $5,000 depending on the need of the home. BC Hydro and FortisBC offer low-income customers a free energy saving kit containing products to help save energy and money. A program jointly sponsored by the provincial and federal governments provides up to $20,000 to help eligible low-income seniors and disabled home owners and landlords to finance modifications to their homes to make them accessible and safer. Provides home buyers with CMHC mortgage insurance, a 10% premium refund and possible extended amortization without surcharge when buyers purchase an energy efficient home or make energy saving renovations. Financial institutions offer a range of mortgages to home buyers and owners who make their homes more energy efficient. For example, home owners who have a home energy audit within 90 days of receiving an RBC Energy Saver™ Mortgage, may qualify for a rebate of $300 to their RBC account. This federal non-refundable income tax credit is for qualifying buyers of detached, attached, apartment condominiums, mobile homes or shares in a cooperative housing corporation. The calculation: multiply the lowest personal income tax rate for the year (15% in 2012) x $5,000. For the 2013 tax year, the maximum credit is $750. • an additional grant of $275 to seniors aged 65+, those who are permanently disabled and war veterans of certain wars. BC Ministry of Small Business and Revenue www.rev.gov.bc.ca/ hog or contact your municipal tax office. - Property Tax Deferment Program for Seniors. Qualifying home owners aged 55+ may be eligible to defer property taxes. - Financial Hardship Property Tax Deferment Program. Qualifying low-income home owners may be eligible to defer property taxes. - Property Tax Deferment Program for Families with Children. Qualifying low-income home owners who financially support children under age 18 may be eligible to defer property taxes. Qualifying home buyers can withdraw up to $25,000 (couples can withdraw up to $50,000) from their RRSPs for a down payment. Home buyers who have repaid their RRSP may be eligible to use the program a second time. 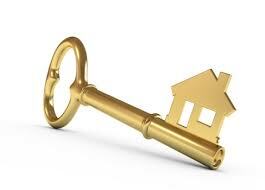 www.cra.gc.ca Enter ‘Home Buyers’ Plan’ in the search box. New home buyers can apply for a rebate for the 5% GST if the purchase price is $350,000 or less. The rebate is equal to 36% of the GST to a maximum rebate of $6,300. There is a proportional GST rebate for new homes costing between $350,000 and $450,000. At $450,000 and above the rebate is nil. www.cra.gc.ca Enter ‘RC4028’ in the search box. Qualifying first-time buyers may be exempt from paying the PTT of 1% on the first $200,000 and 2% on the remainder of the purchase price of a home priced up to $475,000. There is a proportional exemption for homes priced between $475,000 and $500,000. At $500,000 and above the rebate is nil. The final Musqueam Bus Tour of the summer will be on July 27th. The first two runs of the tour have been incredibly popular and guests left with a new understanding of Musqueam culture and history. Don't miss the chance to experience history, legend, craft, and song all in one morning. Cheryl Rossi of the Vancouver Courier joined the tour on June 21st. Read her experience here. We will meet in the parking lot at 1450 SW Marine Dr. and walk as a group to our first stop c̓əsnaʔəm before boarding the bus. Watch BC Real Estate Association's Chief Economist Cameron Muir discussing the June 2014 statistics. According to statistics released this month by The Canadian Real Estate Association (CREA), national home sales activity edged up almost one per cent on a month-over-month basis in June 2014. Click to watch the video for details. According to statistics released today by The Canadian Real Estate Association (CREA), national home sales activity posted a sizeable month-over-month increase in May 2014. 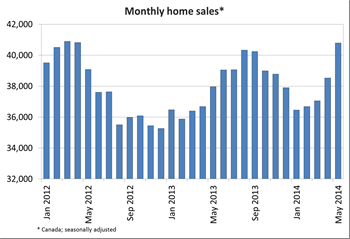 National home sales rose 5.9% from April to May. Actual (not seasonally adjusted) activity stood 4.8% above May 2013 levels. The number of newly listed homes climbed 3.8% from April to May. The national average sale price rose 7.1% on a year-over-year basis in May. The MLS® Home Price Index (HPI) rose 5.0% year-over-year in May. In the summer, many of us like to spend time outdoors and enjoy as much of the sun as possible. This can mean that our clothes attract stains faster, from camping dirt to barbecue sauce and grass stains. And you're more likely to get sweaty and reach for a fresh change of clothes before dinner. It's always nice to put on a fresh set of clothing, but more frequent laundry can also mean consuming a lot of electricity. By doing your laundry as efficiently as possible, you can save energy and money on your next bill. Did you know that 90 per cent of a washing machine's energy consumption goes toward heating the water? If you wash about 3 loads of laundry per week, you can save up to $27 per year on your energy bill just by changing from hot to cold water. As an added bonus, washing in cold can make your clothes last longer since it is gentler on the fabrics and causes less colour fading. 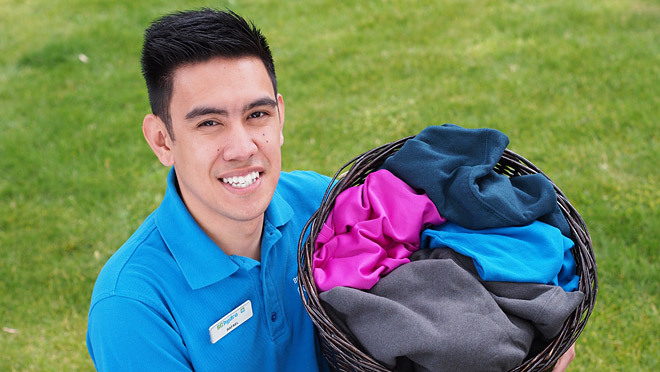 Many specialty fabrics (like moisture-wicking exercise clothes or delicate lightweight summer clothes) recommend washing in cold — check the label to be sure. Most detergents available today ensure great performance in your washing machine even when using cold water. So consider switching most of your loads to cold, unless they need that extra boost from warm water. And always rinse in cold if your machine offers the option. One of the easiest ways to save energy when doing laundry is trying to do less laundry. Try to reduce the number of laundry loads that you do per week. You obviously can't stop doing laundry altogether, but only wash your clothes when they're actually dirty, and not out of habit after each wearing. Avoid doing partial loads of laundry. A partial load uses the same amount of electricity as a full load. If possible, wait until you can fill the washer to capacity in order to reduce your energy consumption. 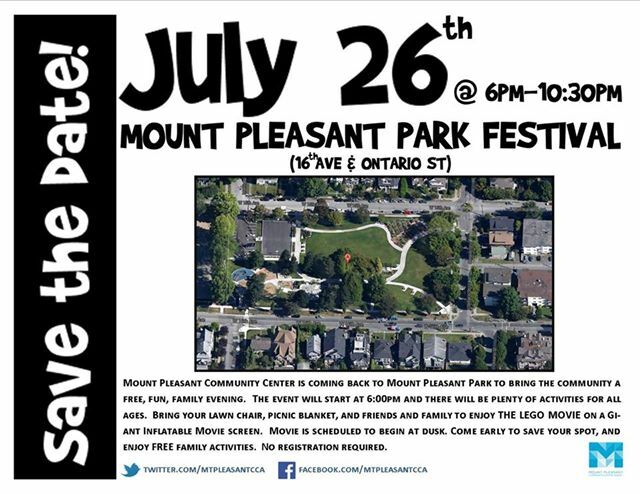 ount Pleasant Community Centre is coming back to Mount Pleasant Park to bring you a free, fun family evening. The Lego-themed event will have plenty of activities for all ages. At dusk, we're playing The Lego Movie on a giant inflatable screen. Bring your lawn chair, picnic basket, and friends and family. Come early to save a spot on the grass for the movie. 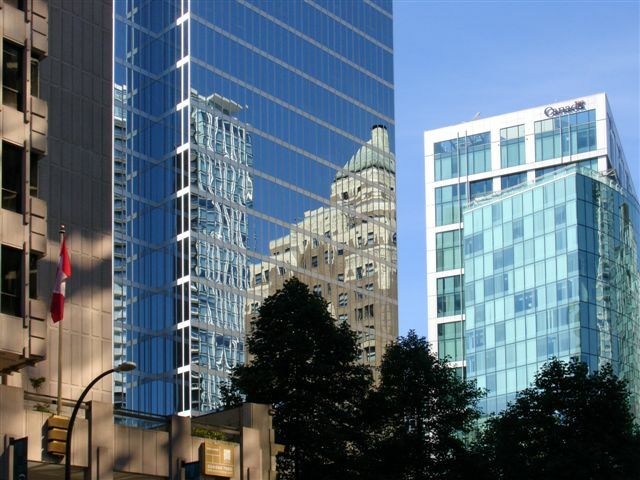 July 26 2014, 6:00 p.m. to 10:30 p.m.
Vancouver Heritage Foundation is partnering with the Downtown Vancouver BIA to bring free 30-minute walking tours to the downtown core! Join Samuel Mickelson for guided lunch time walking tours of West Hastings. This early Vancouver corridor has been the site of industry, finance and fashion and includes some of the city's most beautiful heritage buildings including several temple banks. Meet in the parkette on West Hastings St. at the foot of Hornby St. (just west of the Terminal City Club).